NP-400 Insulated Tools: Izumi Products. The NP-400 can peel insulation from a conductor with an O.D. of 10 to 32mm and a maximum insulation thickness of 3mm. 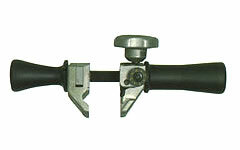 This tool will not work on semiconductors since the cutting blade is used uses a scoop design to pull insulation away from the wire strands. It is most commonly used on jacketed aluminium and copper cables for both underground and overhead. 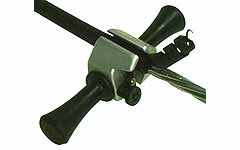 The NP-400 can handle mid-span peelining as well as cable end preparation. A simple rotation and hand force is all it takes to remove the jacket. Apply hand force against the peeling direction to end the peeling.